Alli Worthington is the founder of Blissdom, which is the largest international women's small business conference in the world and she just released her third book, The Year of Living Happy. She is driven to see conversations about happiness change from an external perspective to an internal one. Generally, unhappiness is caused by little things and if we just make little, small changes - changes to the way we think changes to our habits - it brings so much happiness into our lives. What a holistic approach to happiness means and how it differs from what the world defines happiness as. How to balance social media and happiness, especially since we live in a time where social media can be so damaging to our happiness. The things that typically rob mothers of their happiness and how to overcome them. Why it is important to escape the tyranny of urgency and how you can implement that escape in your life. ALLIE: Hi, beautiful friend! Welcome to another episode of The Purpose Show. Today's guest is somebody who I have a lot in common with. We have the same name. We both love superhero movies. We both have a lot of boys. She actually has five boys. We both love Kombucha and dark chocolate and we're both passionate about business. We also both have a rags-to-riches kind of story that started with her husband's jobs is not working out. Alli Worthington is joining us today. She is an author and she's the founder of Blissdom, which is the largest international women's small business conference in the world. So proud of her for that. That's amazing! Alli just released her third book, The Year of Living Happy. I've read it. It's absolutely incredible and I am so excited to welcome her to our show today. Alli, let's dive in. ALLI: Hi, I'm so excited to be here! ALLIE: Yeah, thank you so much for taking time out of your busy day and talking with us. I think you can encourage my audience in a really fresh way and I'm really excited. ALLI: I sure hope so! ALLIE: Okay, so maybe just start by, can you just tell us a little bit about who you are and your family and what you do? ALLI: Sure. My husband and I live outside of Nashville. We have five boys. The baby is 10 even though I know a 10-year-old does it seem like a baby, but when you have five boys, he's always the baby. The oldest is 19, almost 20. He's a sophomore in college. I have two careers which people always find really confusing. On the ministry side, I write books. I wrote a book called Breaking Busy about getting off that hamster wheel of busyness. I wrote Fierce Faith about overcoming fear and this new one is The Year Of Living Happy. So that's the ministry side. Really practical, but with a spiritual component. I'm also a speaker. But then the other side of what I do is I am a business coach. People always find it a little confusing that I do all of those things, but it really comes down to my passion is helping women be all that they're called to be, whether that is on spiritual realm or business and I love doing it. Okay. So, you have authored I think three books, right? Yeah, Breaking Busy. I've read that one. Fierce Faith. And then your new one is The Year Of Living Happy. So, what is that book all about? ALLI: Well, it's funny. When I was writing Fierce Faith, I wrote it from kind of a dark place. I wrote it all about overcoming fear while I was learning to overcome fear. My husband had developed a chronic illness and life was just throwing us around, but I knew that I was supposed to write on fear. And so, the way it works with me, with my books, is God will kind of give me a word that I'm supposed to write on next. As soon as I finished the Fear book, He gave me happy. And I thought, “This is ridiculous. I don't know what to say about happiness.” But I went on this journey for a whole year to figure out what's true in scripture about happiness combined with what researchers are pulling from science to say makes us happy and what I love is so much of it is the exact same thing. So, I wanted to create this book and have 100 entries that people could go to that's super practical and said, “here's exactly what we do to have a happier life,” both scripturally sound, but also backed up by research. And it just kills me that scientists will say, “sure enough, we found the secret to happiness and it's X, Y, and Z,” and we're like, “We know. That's been in the Bible all this time.” But I love to marry those two things together. ALLIE: Yeah, I love that too. And I think when a lot of us think about happiness the first thing that comes to mind is sort of shallow and transient whereas you kind of talk about happiness in a way that’s so different and I think it's has such a stronger and deeper foundation. I know this is hard but in a sentence or two, can you unpack your definition of happiness for us? I guess this would kind of be like a summary of what you've figured out. ALLI: Totally. Okay. This is fascinating. I can't do it in a sentence or two, but I think it'll be worth it. What I learned was in the original language of scripture, there's no differentiation between joy and happiness. And all throughout history, Christians have always used the word happiness. They never looked down on us. It wasn't thought as worldly. It was just a little over a year ago that a minister and an author decided that happiness was secular, worldly and fleeting and joy was holy. So now we've got a bunch of grumpy Christians saying “we're not happy; we're full of joy,” and people are looking for happiness out in the world. We can't find lasting happiness that way. So, my passion and my hope with this is that we can change the conversation from happiness is out in the world and it's fleeting and it's external, but happiness is inside. We're commanded over and over again in scripture to be holy, but also to be happy because real lasting happiness is only through seeking God. If I could get up on the rooftops and shout that every day, that's what I’d do for the rest of my life. I feel like it's such an important message because culturally we've bought this bill of goods that happiness is silly and superficial and it's not what we should strive for. I think that we are supposed to be happy and we are supposed to strive for it. But so much of our unhappiness is caused by little things and if we just make little, small changes - changes to the way we think about things or habits - it brings so much happiness into our lives. ALLIE: I love that. I feel like your approach to practically living out happiness is really neat and kind of holistic and just like “how can I bring everything into this?” And I like how you really go all in and that's really how your book is laid out too, is it 12 sections? Yeah, I really liked that. So, can you talk about the areas that contribute to our happiness? Because I feel like you've given us permission, like you said, like happiness is not shallow. Happiness is not different from joy and if you're of faith you should be focusing on joy. I actually like that your book has the word happy in it. So, if we know we should be happy, we should be striving for happiness, what areas contribute to us getting there? ALLI: Our biggest area by far is our thoughts and our mindset. So, whether I am talking to a friend or I am talking to somebody for business coaching, I tell everyone 80% of our happiness, 80% of our success or failure in business, 80% of everything is internal. It is how we're thinking, how we're talking to ourselves, because most of us have on play this kind of negative loop of self-criticism. And I believe we have to practice self-compassion as opposed to self-criticism. Because if the one voice we hear more than anybody's voice in our heads all the time is our own and most of the time that is, “oh, I can't believe I made that mistake. I'm so dumb. Things will never work out’” all of those things, we rob us of our own happiness that we can have. So many people think happiness is in the external; that would be the other 20 percent. But the 20 percent that's external would be our resources, our time, our community. But 80% of it, that's the internal game. Once we become aware of our thought life and we kind of bring it into balance, that's when we can find real happiness because sometimes unfortunately, because of lessons we've learned from other people, habits we've learned from our own families, we talk to ourselves in a way that we would never allow. I tell people, “Don't talk to yourself in a way that you wouldn't allow people to talk to your own children.” We would never let people talk to our kids the way we talk to ourselves. ALLIE: Right. I love that. I've never heard anyone say that. That's an amazing rule of thumb. I love that. You have this fantastic chapter in the book that kind of talks about social media and comparison and how that damages our happiness. That's another thing I love too, you talk a lot about what creates happiness and how we can seek it out, but also protecting ourselves from what is hurting our happiness. In some ways our jobs are similar and they involve a lot of social media, being on the computer. I think when you're in the public eye in any way you just... I mean you can have people that help you manage all the comments and stuff, but you see hurtful things, you see negative things, feedback, book reviews and all that kind of hurtful stuff. How do you balance staying connected, showing up for what you do and showing up for the women that you serve, but also having boundaries in social media and feeding that happiness for yourself? ALLI: I have a rule that if I'm not emotionally healthy, I'm not going on social media. So, if I am depressed, if I'm sad, if I have PMS, if somebody’s hurt my feelings, if I need affirmation from outside, if I want to go on social media to post something so people will be like, “you're great” or “your hair looks cute,” I do not allow myself to even pick up the iphone because I'm not emotionally healthy enough for it. And what I've found in research, the research started coming out a couple of years ago, but more and more coming out all the time, that the more time we spend on social media, the more depressed we are because subconsciously we can't help but compare our lives to everyone's highlight reel. It's brain science. We can't deny it anymore. I wrote about this in Breaking Busy, you’ve probably heard this before, but the way we can use social media and not get depressed is use it and actually engage with people. So when we “like” things and we comment and we engage, it protects us from just passively scrolling. Passively scrolling is a recipe for depression on social. So that's what I do. If the dog is throwing up and I'm cleaning the carpet, I'm not allowed to go on Instagram and look at people's vacation photos. I'm just not in the right headspace, can't do it. And then also I limit the public's access to me really carefully. I have a Facebook group that I run kind of “my” people and I'm there all the time, whether I'm in a good mood or not. But I'm not doing Instagram TV and having comments from all over the world coming in because it is hurtful and it is weird. So, could I gain more followers and build my business even bigger if I lived on social media all the time? Yeah. But for me it's not a healthy way to live and it's not a healthy way for me to live as a wife or a mom. ALLIE: Yeah. It's not worth it. So, I'd love to know from you, for mothers specifically, what are some of the major things that rob mothers specifically of happiness? She said, “I was just like you when I was in the throes of it.” I don't know how I didn't put 2 and 2 together, but it was such an eye-opening moment for me because I realized, “Oh, I'm in a hard season and it's supposed to be hard. When you have a bunch of little kids, it's just difficult. That’s just life. But when we can learn to give ourselves grace and go, “You know what? I'm not supposed to be Mary Poppins today. I'm just supposed to be keeping the kids alive because they want to jump off the roof. This is the season that I'm in. Things don't have to be perfect. Things are okay.” My role was always if my made my boys feel loved, if they were able to give and receive love to each other and they had the beginnings of taking personal responsibility for themselves, everything else was gravy. It didn't matter if when I went to bed that the dishes were in the sink or the toys were all over the floor. That doesn't matter when they're grown men. It doesn't matter when they're 15-years-old. What matters is they know how to give and receive love. They know how to begin to take care of themselves and take responsibility for themselves. If I did those things, I was winning it as a mom. So luckily when my kids were little, there wasn't Pinterest. And to be quite honest, there wasn't Instagram because if I had all of that, I would have been the most depressed mom ever because I would have been comparing myself to the pictures we see. Not knocking it, but looking good for photos that can be posted on Instagram or Pinterest is a whole business model. So, when we see a woman and her house is pristine and it's professionally decorated, her kids look amazing and her hair's done, there's probably 10 people in the background that get done. That's nobody's real life. I'm just glad that when my kids were little I didn't raise them with me feeling that extra pressure on myself. ALLIE: So, you talk about how we can choose to be happy. I think that is very liberating because I feel like sometimes I've been in conversations or heard somebody talking about a book that talks about this and they kind of come at it like, “Well that's easier said than done,” but to me I think that saying you can choose to be happy is really liberating because you're in control. You can make that choice. But I would love to hear how you would, maybe some practical suggestions on like how to do that. Let's say a mom is listening and she's got little kids and it's a difficult time. Her husband's working. She's at home doing the whole mom thing and she's just feeling done. In a mundane life like that, how do you choose happiness and create that. It's so dark. But when you allow yourself to go there and go “Look at all of the blessing that I have, with the kid that's spilling Fruit Loops all over the kitchen or the house that we live in.” One thing I say all the time is we have to stop and give thanks for the things that we once desperately prayed for. All of the details, the mess of the day. Things are never going to get done. They're never going to get done when your kids are older either. I mean that's just life. We have that power to control our own energy. We have that power to control our own thoughts. It's just we have to get in the habit of doing it and give ourselves permission to do it. For most of us, as women, we keep waiting for permission to be happy. We keep waiting for permission to be told that we're good enough. We keep waiting for permission to go after our dreams. We don't need it. We have it and we've had it all along. We just have to be reminded of it. ALLI: Two things that's both biblically sound and researched-backed: gratitude and the quality of our relationships. In fact, one study that I found said that a healthy, quality relationship brings as much happiness as a $133,000 raise every year. People have studied it. When you make more money, you're really happy in the beginning. Or when you win the lottery you're really happy at the beginning. But then within a very short amount of time, your happiness evens out to the same level as it was before, like we kind of run at a set point. But the thing that will continually make us happy and keep us happy is really a discipline of gratitude. Practicing the discipline of gratitude because it doesn't come naturally. We're not naturally grateful people, you know? The discipline of gratitude and investing in our relationships, whether it's with our spouse, our kids or friends in the community, those are the things that make a happy life. When people are interviewed at the end of their lives, the big regret that people have is that they didn't invest in relationships like they wanted to. ALLIE: Yeah, for sure. I think that it's funny because, at least for me, that's the first thing to go when things get really busy, is extra relationships and friendships, coffee with my best friend and you know, “Can’t make it this week. It's really crazy.” And what would happen if we turned it around and in the busiest times we prioritized it? I wonder how much different we would act from that, from creating that happiness during stressful times? But because it's an outside obligation and I know they're expecting me to show up, I'm actually going to show up and put those relationships first and it's made me so happy this year. I never imagined being part of a small group would do that to me, but it did. But now I'm realizing probably any goal I want to reach, I'm going to have to put outside measures on it. Like I can't force myself to exercise. I just can't. But maybe if I sign up to an exercise class, I will. So that's my next plan. We'll see. Maybe the next book will be about actually trying to get healthy. We'll see. ALLIE: I hope it is. I would love that! ALLI: It’ll be a challenge because if I do a pushup, I'll feel like a 90-year-old granny. ALLI: Please no! Nobody wants to read that. ALLIE: I think my favorite chapter in the book was escaping The Tyranny of the Urgent. I mean we do, we daily face like so many little mini crises and it's crazy. I mean I think in different seasons they appear in different ways. But right now, for me, I was just talking to my husband about this after I read that, like that is exactly what this is. Our life right now is just crisis, one after the other, little mini things that right now needs to be fixed. So, having said that, could you share how you even begin to make the escape from that? ALLI: Totally, totally. And the Tyranny of the Urgent basically says that the things that are urgent will take up all the importance in our lives if we let it. So, we'll focus on what's important, basically what's on fire, instead of what's really important. What's urgent instead of important. And so, what we want to do is go, “okay, the urgent things that have to be taken care of. Yes, we'll do it, but we won't forget the big things that will take us where we want to go in life.” And so, I think it's kind of like a game of Whack-A-Mole where you know, at the circus you hit one mole and five others pop up? That's basically living in that cycle. So, one thing that I do is at the end of every day I write down the three things that were really successful for me that day and I'm grateful for them. Maybe it's I had a great moment with one of my kids, or I helped a client, or whatever it is that I did. But then I think what are my three big goals for tomorrow? Because I used to do the three big goals in the morning, but in the morning the kids need food, everyone’s a little bit crazy. I can't wake up before them because they wake up at five. Some of my kids are just early birds and they talk the whole time. So, I don't have quiet time in the morning like that. So, at the end of the day, three things that are really great that I did that day because here's the thing, as women, also we don't give ourselves permission to celebrate our wins. And if we can go, “here's three things I did really successful today,” it's going to change your life. So, three things from today that were good. But then the three big goals or the three big things that are really important for tomorrow. Write those out and then when the fires start popping up and when we get distracted, we can look (I just do it on a post-it note) I can look at it and be like, “Oh, here are my big three today. This is all I'm going to try to get done.” That is so simple, but it works. And the thing with trying to change our lives, develop a new habit or try to be happier… sometimes we think that it's going to require so much work, when it's just the little, tiny, small things that'll have the biggest changes. ALLIE: And that also is empowering to just keep it simple, and it's that little bits of progress that end up making that new habit or changing everything. I'd love to ask you about mindfulness. I think that that is something that we hear a lot about today and actually this part of your book came at a perfect time for me because I've personally been on a journey of just really researching, looking in the Word, and researching the overlap of kind of (I think it kind of comes from like a new age) mindfulness, meditation, and I'm so drawn to it. I love just getting still. It’s so powerful for me, but just really looking at like, okay, what is that version of this? Where is the overlap here? What does God say about this? And so I'd love to hear you talk about, you've sort of coined this term, I think of Godly mindfulness. What's the difference and how do we cultivate that? What does that look like. ALLI: The world will say we just need to empty ourselves out, practice a chant or whatever it is. There's even research that shows how beneficial it is, but it's beneficial because we're getting quiet, we're getting focused, we're breathing deeply and we’re calming our mind. So that's where that benefit comes from. But with Godly mindfulness we want to do the same things where we relax, because chilling out is so important for our happiness. We relax, we take deep breaths and we're filling ourselves with God. We're focusing on the things that will actually bring us peace, and bring us happiness in life. That is the secret to calming so much of the anxiety we have on a day-to-day basis. Getting quiet. Getting focused. Filling ourselves with Him. Focusing on Him. For me, just on a kind of a rabbit trail, worship music is my jam. There's no way I can drive from here to Target and be in a bad mood if worship music is on. That's just kind of part of our lives. It's how we fight all the things that come at us on a day-to-day basis because if we're not filling ourselves up with the only thing that's going to bring true happiness then we don't have the weapons to fight against it. Oh, one other thing I want to tell you that's really fascinating, that goes hand-in-hand with mindfulness. The one thing that research shows will calm anxiety and make people happier is breathing. It's so crazy. Even the Navy Seals, they get trained in this breathing technique, which is called “box breathing.” You can google it. Basically, you're breathing in, holding it, breathing out. That is the one thing that the Navy Seals learn how to do to chill out, to calm their anxiety, to be happier and I'm like, every mom should know how to do this. ALLIE: That should come in your hospital pack, when you leave. ALLI: Yeah. If it's good enough for the Navy Seals, it's good enough for mom. We need this technique. Sometimes just practicing, getting quiet, practicing mindfulness and breathing is going to make us so happy, but also practicing mindfulness as we go about our day. Here's where I am in life, here's what's going on. I'm so thankful for my kids. I'm so thankful that the car runs and I get to Target and praise the Lord, Target has that Dollar Section in the front. That's the stuff. It seems silly, but just being aware and being grateful as we go through our day, it does make us so happy. ALLIE: Yeah, and like you said, the act of getting still for moms is huge. It's so the opposite of how the rest of our day is going to go. So for me, when I just sit and I'm just quiet for a second and I focus on my breathing…Stuff will come up; I'll notice I feel really anxious. And instead of just emptying myself of that, giving that over to the Lord and just fill me, what is the opposite of anxiety? Peace. Fill me with peace and just being intentional in that stillness. It's huge, even just five minutes. It's huge. ALLI: And there's so much guilt about screen time. Now as a woman who has raised children who are grown, I'm just going to say don't fear screen time. If you need to put your kids in front of a good cartoon, as long as it's a good show, put them in front of the show and go chill out because you're going to feel so much better after and you're going to be a better mom for the rest of the day. My oldest son never watched TV, Baby Mozart, I did everything right. Bless him. He's just like his mama. He's not the sharpest knife in the drawer sometimes and he'd say that. Second son I just gave up and let them watch all the TV they wanted because I was like, “I guess you guys are going to watch cartoons today.” Nobody’s going to be Valedictorian this year. I don't know if that helps moms out there, but we are not in control of how our kids turn out, exactly. They are just them. We can help, but there's a whole industry in making women feel bad because you let your kids watch some cartoons every day. Don't feel bad about it. Take care of yourself if you need to. ALLIE: For sure. That’s something that I talk about a lot. What's the reasoning? Do you need a break? It's a babysitter built into your TV. Take a break here. If you're struggling and your using it to get your kids away from you instead of maybe you could do something else and go outside and connect with them, but it depends on what's going on. What's the reasoning and the intention behind it. It can be such a help. There is no way that I could homeschool my kids and run this business without Netflix. ALLI: We hold ourselves up to this crazy image of perfection and what a mom should do, which nobody is doing that behind the scenes. We hold ourselves to that image of perfection. We make ourselves miserable. I used to become this mom that kind of gritted her teeth and you know, made myself do everything that I was supposed to do, but I was miserable at it, instead of giving myself grace and just focusing honestly on loving the boys and having a great time. ALLIE: I love that. I'd love to wrap up by asking you a final question about balance. There's constant pressure on women to find balance, and especially work/life balance, and I would love to hear your take on that. I just think you breathe life over everything that has to do with being a woman and living a good life. Is this balance even possible? Is it something that you've attained or are aiming to attain? Like what's your thought on that? Finding that perfect work/life balance that everyone talks about. ALLI: I think I have found the balance and it's not what everyone thinks because the balance looks different in every season. I just came out of summer season. I only traveled once all summer long. I would work during the day, as soon as work is over at 4:00 PM, close my computer, walk 10 feet down the hall and it's family time. Summer balance was pretty much all family, all the time. Now fall has started up and I'm in speaking season which means every weekend or every other weekend I leave on Friday morning and get back Saturday night because I'm doing a women's event. So, balance in this season for the next three months looks like a lot of travel and a lot of work, but I don't feel guilty about it because the last season was summer and it was all family. For me I think balance looks like going, “okay, what season am I in right now? What do I need to focus on right now?” The other things are still there. We're not dropping the balls, but it's just that's not where all of our focus is and to give ourselves permission in different seasons of life to focus in on other things. Because as women, if we are working on balance and that is our goal, we're not the kind of women that are going to just neglect something. ALLIE: I love that. Well said. Thank you so much for this amazing interview. I feel like this is the type of interview that they're going to listen to and just take their headphones out and feel a breath of fresh air, just encouraged. And I really appreciate that. Okay, so as you guys are listening to this, The Year Of Living Happy is out and you can get it. You get it at Amazon, Barnes & Noble, everywhere you can get books. We'll link to it for the show notes for you guys. But thank you Alli so much! ALLIE: Thank you! It's been great to be on the show. How do you define happiness? What are ways that you find happiness? You don’t need to spend a lot of time, money or energy to find happiness. Not everyone can uproot their lives and travel the world - most of us have kids who need us at home! Simple changes to your daily habits, a deeper investment into the relationships in your life, or putting self care as a priority are all ways that you can boost your happiness daily. You just have to decide that you are going to find ways to be happier right in the middle of usual. Which is why I brought Gretchen Rubin on the show for this specific topic! Gretchen is a wife, mom of 2 daughters, co-host of The Happier Podcast, and a New York Time bestselling author. She uses her platform to help others find their happiness, create good habits, and cultivate a more inner calm. And I know she is going to help guide you to defining and creating happiness in your life! Ways you can find happiness - without a lot of time, without a lot of energy, without a lot of money - in the ordinary parts of your day. How your habits impact your happiness and how you can use them as an engine to fuel your happiness. The important connection between happiness and relationships because doing anything to deepens your relationships, is very likely to boost your happiness. Finding happiness in self care and why you should not feel guilty for it. 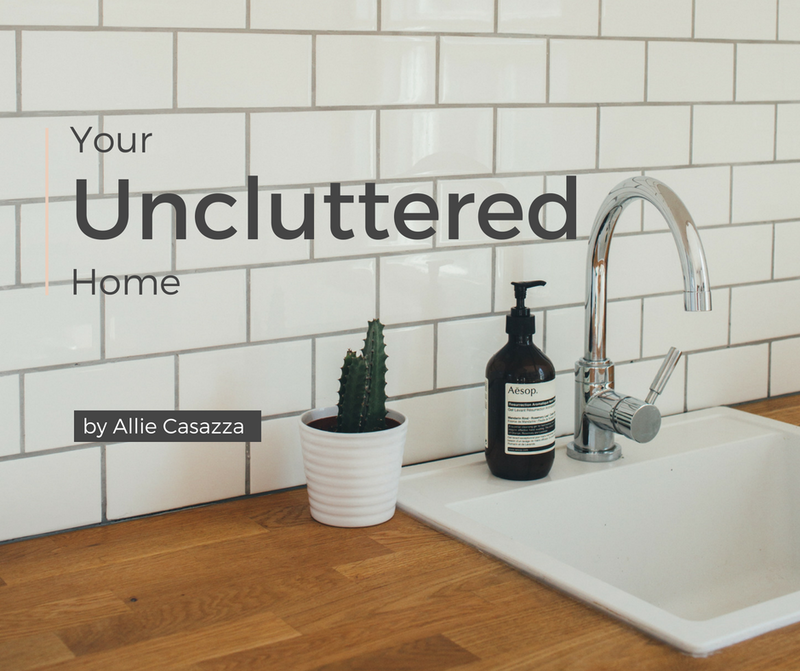 i want your uncluttered home! ALLIE: Hey ladies! Welcome back to another episode of The Purpose Show. I am sitting here with Gretchen Rubin. Welcome, Gretchen! Thank you so much for being here. I'm excited to dive in with you. If you don't know, Gretchen is the author of the New York Times bestselling book, The Happiness Project, which I have right here, and you've since started a podcast Happier with Gretchen Rubin and it's amazing. I am a podcast producer, but I don't listen to many of them. Yours is one of the two that I listen to on a regular basis. I love it. It's so important. GRETCHEN: That's so nice to hear. I do it with my sister and we have so much fun doing it together. ALLIE: Yeah, you guys are fun. Before we dive in, do you want to tell us a little bit about yourself and your family? GRETCHEN: Sure. I live in New York City, but I was born and raised in Kansas City, Missouri. I'm married. I have two daughters, one who just went off to college this year. It was bittersweet. And then one who's in seventh grade, so she's still in middle school. We got a dog, which I talked about a lot on the podcast, us trying to decide whether or not to get a dog. Big spoiler alert. We did get a dog. I've written several books about happiness, good habits and human nature, The Happiness Project, and Happier At Home, which is all about specifically how to be happier at home. And a book called Better Than Before, which is all about how to change your habits. That's something that a lot of people want to do in order to make themselves happier. I've written a book called The Four Tendencies, which is all about a personality framework that I discovered in the world about whether people are Upholders, Questioners, Obligers, or Rebels. And then I have a book coming out in March called Outer Order, Inner Calm which is all about little fun ideas to get more outer order, if you are one of those people who feels like outer order gives you more inner calm. ALLIE: Yeah, for sure. You're amazing. So many books. That's awesome. Diving into The Happiness Project, I love how you say in your book, it might even be in the introduction, that you say that so many people have gone before you on this pursuit of happiness and that a lot of them, especially some of them were famed (I mean they're not called a happiness project, but that's what they are) involved a big uprooting of life, like Elizabeth Gilbert moved to, I think, three or four different countries. But you didn't really want to do that, first of all, and then also you admittedly couldn't just because your kids were probably much younger when you were doing this and your life, so you decided to find ways to become happier right in the middle of the usual, which I think is, is so powerful. And as a mom, I appreciate you doing that and writing a book on it because we can't all just move to Bali. GRETCHEN: As I've gotten deeper and deeper into the study of happiness, one of the things that's really encouraging is that I think for just about everyone, there's a lot of low hanging fruit. There's a lot of stuff we can do - without a lot of time, without a lot of energy, without a lot of money - just as part of our ordinary day that can really significantly boost happiness. And so, it's not like you have to have the emotional or the physical wherewithal to do something huge because a lot of times it's really the little things that can add up to make a very significant difference. I remember a woman said to me, “I feel like a 10-day silent meditation retreat would make me really happy, but my husband isn’t sure that he wants to be left home with the five kids.” I can kind of see both perspectives there. ALLIE: So for your year-long happiness project (you did 12 months) an area of your life was dedicated to each month. I feel like a lot of them as I was reading the book, kind of branched off into other areas a little bit. You covered a wide range of things in some of the months, but really you were giving attention to one area of your life for the full month, keeping yourself from getting distracted by the other things and giving that your focus. And so just curious, what was your favorite month? GRETCHEN: Wow, that is a really good question. I mean, I loved the month of eternity because I love studying my spiritual master St Therese of Lisieux, so that was really wonderful and transcendent. I loved the month of energy, which was January, because I thought, “Well if I just had more energy, everything in my life would be easier.” Absolutely true. And I would say like as the years have gone by, I'm very, very focused on things that go to my energy because I just realize it's so much easier to do all the things that I know will make me happier if I feel like I have the energy. If you're just exhausted then you don't have the energy to do an arts and crafts project with your child or to plan a party or to go to your reunion. It just seems like too much trouble. And then I love reading. I had a whole month that was really about just getting more reading into my day. I love that. I'm working on trying to make sure I have enough time to read. Relationships. I had one for my family, one with my marriage to my husband. Those were really nice. They really paid off. I think I would keep going until I hit all 12 because I really did love them all. It was a wonderful exercise. Everything made me happier. ALLIE: The reading one was particularly inspiring. I love to read, but I have four kids and my oldest is nine, so they're all very little. They were all born within five years and it's crazy. I mean really it's an excuse because we can fit in what we want to fit in. I'm watching the office, I plowed through those. GRETCHEN: Oh my gosh. Let's talk about the office. I can throw it down. I have seen the office so many times. It’s interesting that you say that though, because then I went onto write a book about habits. And it was interesting to me (and encouraging to people like you and me who love to read) how many people had that as a habit that they really wanted to change. Many, many, many people want to read more. I actually did a one sheet (and it's on my website if anybody wants it) that's ideas for how you can get more reading done. I was very surprised. I didn't know that so many people like to read as much as they do, but a lot of people really do want to bring it back in. ALLIE: I think chapters were always a big thing that held me back. “I have to finish this chapter. I can't read the whole chapter, so I just won't.” Reading a page or two is progress. You've mentioned January was one of your favorite months and that is the one I really want to dive into. I think I read that chapter two or three times because it was right what I love to talk about. It really hit home as part of my personal story. Letting go of the clutter. That was the first thing you decided to tackle. I think for my story too, it all started out of desperation and not really knowing what to do. Just purging that physical clutter and then seeing how that carried over into every area of my life. For our listeners, how do you think that taking on your physical, literal space first helped you in this happiness project? I remember I took a pair of pants out of my husband's closet. He's like, “I've never seen that pair of pants before in my life.” I'm like, “I don't know who snuck in here and put them in, but…” You feel out of order. You feel more self-possession when you feel in control of your possessions. It’s just making space. When it's easier to hang up your coat. When you can shove a bureau drawer closed neatly. When food is put away nicely. You feel more composed. You feel calmer. You have less frustration. You know where to find your keys. You're not scrambling all the time. I wrote about this in Happier At Home. There are certain places in our homes which feel like us. Your bedroom feels like you in a way. Making your bed makes you feel more like yourself. The kitchen has a special role; it's not some random arm chair. Your kitchen is special. Your desk is special. Your car is special to you, it reflects on you in some way. And so, I think getting control of it, having it look good, having it feel like it's everything you need, use or love. Feeling that connection. It's funny asking people about this, how often people will have places in their homes or even their apartments (because I live in New York City) that are untouched, that get neglected. For whatever reason it's like, “I don't know why we never really used that room. I don't know why that closet became this junk black hole that nobody ever goes in or out, like Willy Wonka’s factory.” Why is that? Or “Ooo, it’s scary under the kitchen sink. I don't want to go under there.” Deal with that stuff. You’ll feel so much more self-possessed. ALLIE: Yeah. You talk a lot about taking something on. I think we avoid things a lot, like clutter. I see it every time I work with somebody. They’re avoiding it. They know that it's a problem. They don't like it. They're not happy at home, but they’re just avoiding it because it seems overwhelming. And particularly in that chapter you talked about how it was funny how it seemed like this big thing and it really wasn't that big of a deal. So, for somebody that may be feeling like that – “I just avoid it; I have kids; it's so much to take that on” - what would you say to that kind of mindset? GRETCHEN: Well, I think one of the things to remember is there's all kinds of different ways to approach this. You want to do it in a way that feels right for you. This is one of my objections to Marie Kondo. I found Marie Kondo very charming. I love the book. I got rid of a lot of stuff after reading the book. But she's so clear that there is one way and her way is the right way. I think for a lot of people if they just took everything out of a closet and put it on the floor, they'd freak out. It wouldn't make anything better, you know? I think sometimes you do little things. A shelf, just do one shelf in a medicine cabinet if that's all you feel like you can do. Just do one shelf, just do one shelf in your kitchen. And then there are things that you can do as you go that help keep clutter away. One that works really well is the one-minute rule. Anything you can do in less than a minute do without delay. Hang up a coat. Rip open a letter, scan it and toss it. Put the milk back in the refrigerator. Shut a drawer. All these little things add up. They get rid of the “scum” on the surface of life. It really makes it feel much more possible to do a bigger job because you're not so burdened down by these little jobs. Another thing, a friend of mine told me to do this and I have been amazed at how effective it is, is always take one thing with you when you go from one room to another. You don't have to put something away. So, if I have my sweater, it's not like I'm taking my sweater all the way from the front door to my closet, but I'm just going to move it as far as I can naturally take it as part of wherever I'm moving in my apartment. The thing that's weird is how much faster it is to put things away because everything's gradually moving to its place. Then you don't have to set aside an afternoon because you've been doing it along the way. Now kids make it hard. Kids are like a whole other level of clutter, but those are some ways that you can keep clutter more under control as you go. ALLIE: Actually, after reading your book for this interview, I thought about some of the things you say like, “Okay, yeah, that wouldn't work in our home because we have little kids, but I can branch off of that and I got inspired to problem-solve basically. And one thing that I did was I went and bought this really cute wicker basket for next to my stairs downstairs and it's pretty good. So now anytime anything is down stairs that goes upstairs, just goes in the basket and everybody lifts the basket upstairs and puts things away. It's the smallest tweak and it has changed the house and the way I feel. GRETCHEN: Absolutely. Absolutely that just having things ready to be moved like that I think can be huge. And that's one of the things that's really fun is sometimes the smallest little tweak. For us, nobody would ever hang up their coat. And I was the worst of anybody. I hate hanging things up so there were coats everywhere and it just looks very messy. But then when we moved from one apartment to the next I got four hooks put in each closet door. So, we have hooks everywhere. It's huge because it turns out that people won't be bothered to hang up their coats, but they will put their coats on a hook, or if I put their coat on a hook, it just takes one second. It's just this one little investment of time and a tiny bit of investment of money, ends up being having kind of a disproportionate benefit in terms of the overall way that our house looks. Now that we have a dog, which we got a couple of years ago, I get up in the morning and take him for a walk and I've fallen into the habit every morning of tidying up. I used to tidy up before bed, but I'm so tired that I just want to go to bed. Now I tidy up in the morning and I put things away. I don't do any cleaning. It's a very relaxing, peaceful way to start the day for like 5-10 minutes. Everything is nicer for the rest of the day. I do it before I get his leash out. And it's this calming thing. It doesn't feel like a big deal. It's just a nice way to get everything back where it's supposed to be before the day begins. ALLIE: I like how you realized that your season of life is kind of ebbing. You don't have to be so rigid. And so, I think that's one of the challenges is if you like to have systems in place, it can be hard because as soon as you get a system in place, your child’s schedule changes and then everything else has to follow along. That's part of the fun of it, of course. But it can be a challenge if you're really in a groove and then it just doesn't work anymore. ALLIE: This is segwaying into my next question for you, but this is why I love how you talk about habits. I think having habits instead of a rigid, time-based schedule is so helpful as a busy mom. “These are the things that I need to do, these are the habits that I have during the day, and then if it needs to shift by a couple of hours, that's fine. As long as this gets done, we'll all be functioning.” Instead of being like, “Okay, 1:00-2:00 p.m. I have to write and then fold the laundry or whatever. ALLIE: So, since you do talk a lot about habits, what is the connection there? What's the connection between habits and happiness? GRETCHEN: Well, that's a great question. I wrote The Happiness Project and then I wrote Happier At Home and that's what got me into studying habits because I realized that when I would talk to people about their happiness challenges, what was it that they wanted to work on in order to be happier? A lot of times what they would point to is something having to do with a habit. They would say things like, “My house is always a mess and it's making me crazy.” Or “I can't exercise even though I know I feel better when I exercise.” Or “I want to eat more healthfully. I want to practice guitar. I want to read to my child every night in bed. I want to create this e-course to sell as my side hustle.” Whatever it is. And I realized that for a lot of these challenges, habits really had the solution, you know? Because as you said, there's all this power in habits because when you have something as a habit, you don't have to use willpower. You don't have to make decisions, which is draining and difficult. Something just happens on autopilot. It's just gonna happen. You don't have to think about it; it just goes. And so, I became very interested in understanding how can we use habits to make ourselves happier? It's clear that they can be used to make ourselves happier, but then that just gets you to the question of, “Okay, well then how do you change your habits?” That's a very big question. That's what I ended up writing a whole book about it because it turns out it really depends on the person. What would work for you to change your habits might be very different from what would work for me to change my habits. So, I just sort of understand the whole landscape of it, but I think just about everyone agrees that if you use habits wisely, they can be a tremendous engine for happiness because they make it easier to do the things that make us happier. ALLIE: Yeah, absolutely. So, if somebody was listening (like I said, most of my listeners are mothers and are in that overwhelming season) what would you say is a good start to just bringing in a little bit of happy when you feel like there isn't a lot of time or quietness for you to even think and process through working on that? What's one small way to start bringing in a little more happiness into your day-to-day life? GRETCHEN: Like in the moment or a long-term or both? So, if you need something quick, like a mood boost right now, I would say one great thing is to listen to your favorite upbeat music. That's one of the quickest, easiest ways to intervene in your mood. Or even doing 10 jumping jacks. This is one of my favorites. I’ll often say this to my daughters, if they're feeling blue, “Give me 10 jumping jacks,” because it shakes you up. It's kind of goofy. It gets your feet off the ground. If you need something more long-term. I think the thing to think about is relationships. Ancient philosophers and contemporary scientists agree that to be happy we need strong relationships. Not just buddies that we can talk about the office with, but people where we can confide, we feel like we belong, we have intimate, enduring bonds. So, anything that deepens your relationships or broadens your relationships, is very likely to boost your happiness. A lot of times relationships take time, energy and money. So, go to your college reunion, go to see your friend’s new baby, plan a party, make a lunch date instead of eating lunch at your desk or just staying home. Make a plan to meet another family at the park. Even though you feel like, “Ugh, who wants to get into all the logistics of it?” If you do that, it's probably gonna make you happier. Join or start a book group. It doesn’t have to be a book group; it could be a podcast group. It could be a book swapping group. If you don't have time to read, you could just swap books and talk about books. There's all kinds of things that people do. A friend of mine wanted to start a book group for people who read People Magazine. She said, “I have a lot to say and I would always be prepared.” I'm like, “That's a great idea for a group. If people don't have time to read right now, like you say, pick something that everybody's excited to do, because what's important is that you're getting together and that you're having that consistency. So that's one thing to think about. Take time to call your parents. Take time to stay in touch with old friends. If everybody's trying to get together in Boston for Columbus Day, really make an effort to get there. Strengthening relationships really is something that boosts our happiness in the short-term and also in the long-term. ALLIE: Yeah. And I found it actually really surprising that you mentioned and other experts and philosophers have found the same, that friendship was the biggest contributor to happiness. I don't know, it just really surprised me. I have great friendships, but it feels like it’s a little bit on the back burner, I guess? Maybe it's just my season and that's okay. But when I started to think about it, it’s true. Having coffee with a friend before the week starts. I mean it totally changes the way things go. It is so important to invest in those life-giving relationships on top of your marriage and your relationship with your kids. And so, I guess it's just maybe something that us moms in this young season are not really thinking about. It feels like a little bit of a back-burner issue. GRETCHEN: But I think it's all relationships, not just your friends. But, I think you're right and I think it's good to realize that there are different seasons of life and that certain things aren't possible right now, but they might be possible later. ALLIE: Yeah, for sure. So, one comment that I see over and over and over again in what I do is the topic of self-care and pursuing happiness in that way. This happened the other day. I felt that nagging feeling that you need to be alone. I'm an introvert. I need to be alone. And I hadn't been in a long time. All of these social things had happened. I homeschool my kids so they're always here. I avoided it for two weeks and I just kind of snapped, meltdown, not my best self. I was like, “You know what, I'm going to go.” I did a three-hour, just got out of the house and took care of myself. But I am just flooded with messages every time. “How do you do that without feeling guilty? I feel so self-centered doing that.” Please talk about that. GRETCHEN: Okay. So, this goes directly to my most recent book, which was called The Four Tendencies, which divides people into Upholders, Questioners, Obligers and Rebels. And what it has to do with is how you respond to expectations. Outer expectations - like a work deadline - or inner expectations - like my own desire to keep a new year's resolution. Most people can tell what they are just from this brief description, but there's a quiz on my site, Gretchenrubin.com, if people want to take the quiz, but most people don't need the quiz. Upholders readily meet outer and inner expectations. They meet the work deadline, they meet the new year's resolution without much fuss. Questioners question all expectations. They'll do something if they think it makes sense, so they're making everything an inner expectation. They tend to resist anything arbitrary, inefficient, unfair. Obligers readily meet outer expectations, but they struggle to meet inner expectations. This was like a friend of mine who said, “I don't understand it. When I was in high school, I was on the track team and I never missed track practice. Why can't I go running now?” Well, when you had a team and a coach waiting for you, no problem, but when you're trying to go running on your own, it's a struggle. And then Rebels. Rebels resist all expectations, outer and inner. They want to do what they want to do in their own way, in their own time. If you ask or tell them to do something, they're very likely to resist. So, I want to come back to Obliger. Obliger is the largest tendency for both men and women and whenever anybody's talking about self-care, whenever anybody's talking about not being able to put themselves first, whenever anybody's talking about other people's priorities, that is a huge flashing light saying that you're talking to an Obliger, which isn't surprising because that is the biggest tendency for both men and women. So many, many, many people in the world are Obligers and here's the thing. I think it's the most important thing from my Four Tendencies framework of everything that anybody's really responded to. If an Obliger wants to meet an inner expectation but is struggling, which by definition they are. They are not having trouble meeting the work deadline. They are not having trouble showing up for Carpool. They are not having trouble responding to the friend's email, but they are not able to go to the Yoga class. They're not able to spend an hour reading on the sofa. They're not able to go get the massage even though they got a gift certificate. The solution, the one thing that works, the absolutely crucial but very easy to provide solution, is outer accountability. To meet inner expectations, Obligers must have outer accountability. So, if you want to read, join a book group. If you want to exercise, take a class, workout with a trainer, workout with a friend who's annoyed if you don't show up. Think of your duty to be a role model for other people. Think about your future self. Well, Gretchen right now doesn't want to do it, but future Gretchen is going to be so disappointed. That's what can work for Obligers. But what you were talking about is something called Obliger Rebellion. This is when Obligers meet, meet, meet expectations, then suddenly they snap and they say, “This I will not do and this is over. I'm finished. I've had it!” And sometimes it's small like, “I'm going to walk out of the house for three hours but I am going to leave you in like a safe way.” But sometimes it's huge and dramatic. It can be things like ending a 30-year friendship, getting a divorce, walking out the door and going to work for a competitor. Obligers who are in Obliger Rebellion, feel resentful, taken advantage of, unheard, like expectations have just become too burdensome. It's meant to protect Obligers just the way it protected you. You needed that solitude. You were starved for silence. You had to get it. So Obliger Rebellion allowed you to feel like, “You know what? I'm out of here.” It gave you that energy. It exploded you out of your everyday life. But it can also be very destructive because a lot of times Obligers don't feel in control of it. They will compare themselves to like a volcano erupting or a balloon bursting. It can often seem inexplicable to other people. People with other tendencies often don't understand this, and they'll say things like, “Well, I don't understand. If you didn't want to do it, what did you say you would do it?” Or like, “Well, I don't understand why you didn't say something about it six months ago. Why didn't you just say this is what you want? What’s the big deal?” And so, it can have reputational consequences. Obligers themselves will often say that they feel like they're acting out of character. They don't understand why they're responding in the way they are and they're often very relieved to realize that there's a word for this - Obliger Rebellion. It's a very, very common pattern. It has a good side and a bad side. It is definitely something, though, that should be paid close attention to. It's an important warning sign. It can be very helpful, but if it goes too far it can have negative consequences. People who are Obligers or are around Obligers want to watch out for that feeling of building resentment, building anger, building feeling like it's all too much, because once Obliger Rebellion starts (as far as I can see as I keep talking to Obligers about their experience of Obliger Rebellion) it seems like it just has to run its course. Once it starts, you can't shut it off. It just goes until it's done and it can go a long time. Sometimes it's short, sometimes it's long. ALLIE: That is so interesting to me. And you just addressed like every mom. That's so important. And when you were talking I was getting, I don’t know, mad. Why isn't this more out there? Why isn't this more talked about? That's so important. It's so huge. Oh my gosh. That was really profound. I'm married to a Questioner and one of the things that you see in Questioners often is that they don't like to answer questions. It's weird. Like my husband, if I said to my husband, “What are you making for dinner?” He'll say, “Food.” Not because he's a jerk, but then I found out this is a thing among his tendency. A lot of Questioners are like that and so now I don't take it as personally. I'm like, “He's not jerking my chain to annoy me because he thinks it's funny.” This is just a Questioner thing. ALLIE: It’s so, so powerful to understand yourself more fully and understand the people that you live with more fully. I love that. I'll link to that book for you guys who are listening and I'm definitely going to pick that up. I think that could be really powerful too for raising your children. Or like a Rebel Child. You know Rebel children - they want to do what they want to do in their own way, in their own time. And I remember hearing from an Upholder mother who said, “How do I make my five-year-old rebel daughter realize that there's some things you just have to do? Like you have to wash your hands after you use the potty?” And I laughed and said, “You don't have to wash your hands after you use the potty. You absolutely do not have to do that.” And that little girl’s figured it out and you’ve got to make her want to do that for her own reasons. She’s got to choose to do that because you can't make a rebel do anything they don't want to do. But there's ways to deal with that very effectively, once you understand how they're approaching the world, which is very different. Like as an Upholder, the Rebel type is like the opposite of mine. It's very hard for me to understand the rebel point of view. But now that I understand it, I see how there's so much power there. I've learned so much about everything from understanding how Rebels see the world because it's the opposite of the way I see the world. It's blown my mind wide open. ALLIE: Yeah, and we get so caught up in our own minds, our own bubbles that we only see the world the way we see the world. I love getting outside of that box and opening up your worldview and your perspective to other people. It's mind-blowing every time. Are you familiar with the enneagram? We aren't huge fans of the Myers Briggs. I feel like there's some things that didn't really fit us. And so, we did that one and it was so funny as a “2” to see why would you ever respond that way to that situation? I was clicking the answers while he was telling me what he would respond to the questions and I was like, “I can't click that. That's ridiculous.” It was so funny. You just get stuck in your own way. GRETCHEN: I think that is so true and it's so hard to remember that other people just don't see things the way we do. You're kind of like the world is the world, the situation is the situation, but people just are profoundly different in how they see things. No. See, he's an Obliger and he was saying to her, “Mom, I need outer accountability. I need to go to a class. I need to have a schedule. I need to have a professor. I need to have student study groups.” That's accountability. But she was giving him bad advice because she was giving him the advice that would work for a Questioner. Like when I studied for the Bar, I just got a bunch of tapes and did them in my kitchen. I didn't need accountability and that's very useful to know. If you don't need accountability, it can save you a lot of time and energy because you can just do it on your own. But when people say they need accountability, help them get it. A lot of times they don't realize they need it, but if they know they need it, get them the accountability because why not? Or like Rebels often resist accountability. If they feel like you're looking over their shoulder, they won't do it. So, you've got to back off and not hold them accountable. That might make things worse if you're trying to hold them accountable. But, of course, if you're an Obliger parent with a Rebel child, your instincts could lead you into disaster because you keep trying to give them what you think they need and it's just exactly the opposite of what they need. ALLIE: It makes so much sense why there is so much conflict and why you can live with a person and be married to a person for decades and still have disagreements and confusion about why would you do that? Or why after 20 years, why are you still this way? That was so helpful. I definitely want to just end there. That was so, so amazing. Thank you so much! 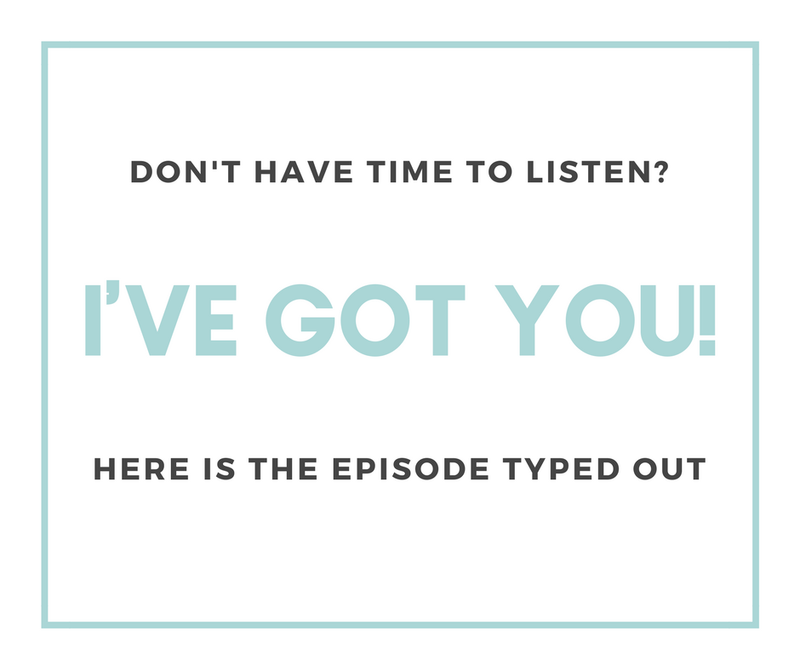 Okay, so we're going to link to all your books and your podcast of course, but is there anything that you want to say if people want to connect with you? Is there a social media platform you favor or anything? GRETCHEN: I'm all over the place. Linkedin, Instagram, Youtube, Facebook. I have a weekly Ask Gretchen Rubin Live on Facebook. That's a ton of fun. I'm everywhere as Gretchen Rubin and I love to connect with people, with their questions, their insights, their observations, their illustrations, so get in touch. I'd love to hear from people. Again, if you want to take the quiz to find out what your tendency is. It's on my site, Gretchen Rubin.com. I think 1.3-1.4 million people now have taken this quiz. It's really very short. It's free. It's fun and I do think people are finding it helpful because like you say, when you know how to manage yourself, then you can make your life happier, healthier, more productive, more creative because you know how to do it in a way that's right for you. And when you're trying to help other people be happier, you can do it in a way that's right for them. If you're a “2” and you're dealing with a “7”, you gotta take that into account. ALLIE: Absolutely. I love that. We'll link to that quiz for you guys too. Thank you so much for being here. This was great. Thank you. It was so much fun to talk to you.